This is not the first time I mentioned about Anne-Quinn Furniture on my blog. For those that are new to this site, Anne-Quinn (AQ hereafter) is a family-owned Toronto-based company offering custom built, quality solid mahogany/teak furniture at very affordable price. In fact when I first worked with AQ back in early 2009, the then Christine’s Custom Furniture, it was hard to believe I could get such substantial pieces of solid mahogany furniture for what I paid! Christine and Brian, the young couple/entrepreneurs behind the AQ Furniture, are offering this exclusive Thank-you Giveaway to my blog readers because you are awesome. 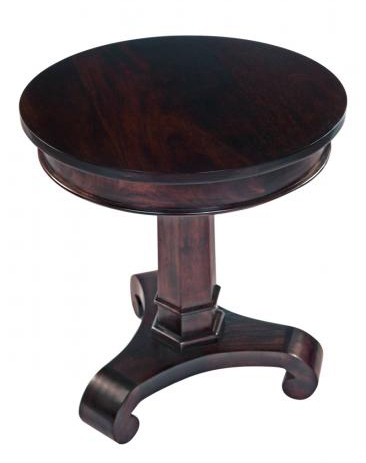 This giveaway features a Pedestal Side or Foyer Table made of Solid Mahogany valued at $250! 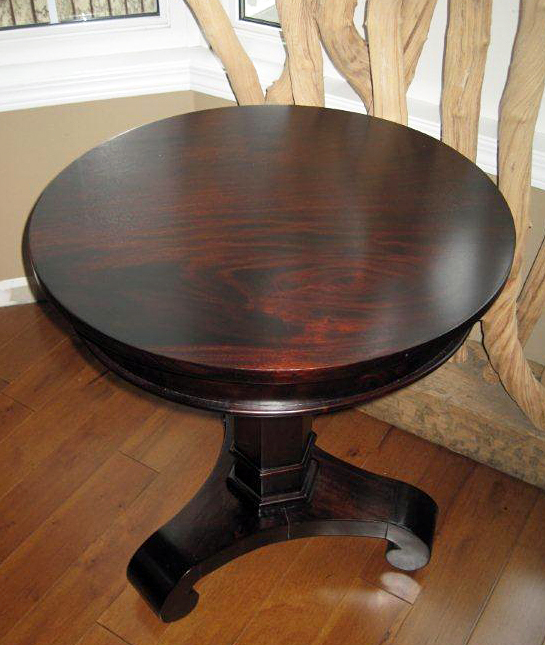 The table is 24” in diameter, and 26” in height. If you win, you are getting exactly the table featured in the pictures below. What is your favourite piece of furniture from the web site and why? What other ideas you have for custom-built furniture (e.g. your initials embossed on a chair back, slots for adults’ book and kids’ books built right into a nightstand, etc.). I would really like to gather at least 20 comments in return for AQ’s generous offer, so please spread your word and let’s bump up the comment count. Random draw will take place on Friday October 21st, and the winner will be announced on my blog the same day. Unfortunately due to the size of this giveaway, we have to limit the entries from GTA/Ontario. But if you live outside of GTA and could pick up the table in person, please throw your name in the hat as well. 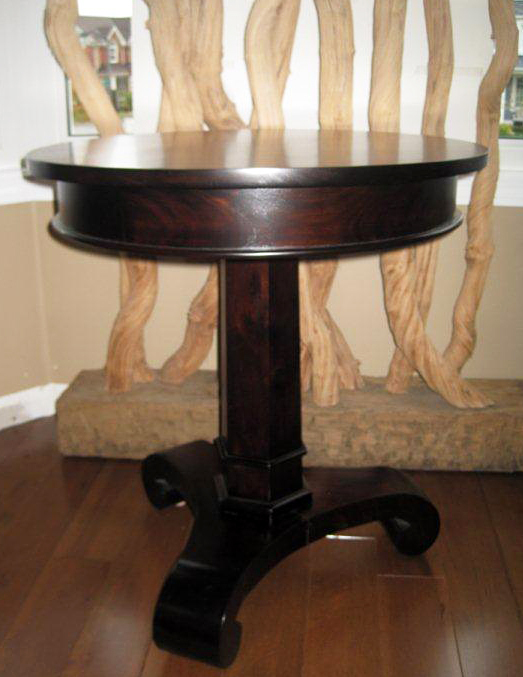 Brian from Anne-Quinn will contact the winner to arrange for the pickup or delivery of this fabulous pedestal table.